Organizations these days are trying to compete in a world driven by social media. Businesses are worried about boosting revenue while also improving ROI and customer engagement. 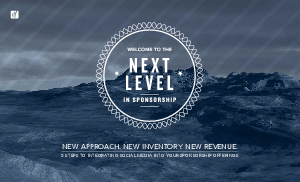 Download this whitepaper to see the 3 steps that will allow your organization to take a new approach to creating sponsorship offerings that will knock the socks off potential sponsors by integrating social media.